I thought it might be fun, as I close in on the last couple of weeks of my year of daily thank-you’s, to use the Wordle site to create a picture of what I’ve blogged about over the last year. I was pleasantly surprised to find this after I put my site’s address into the “create” section of the site. 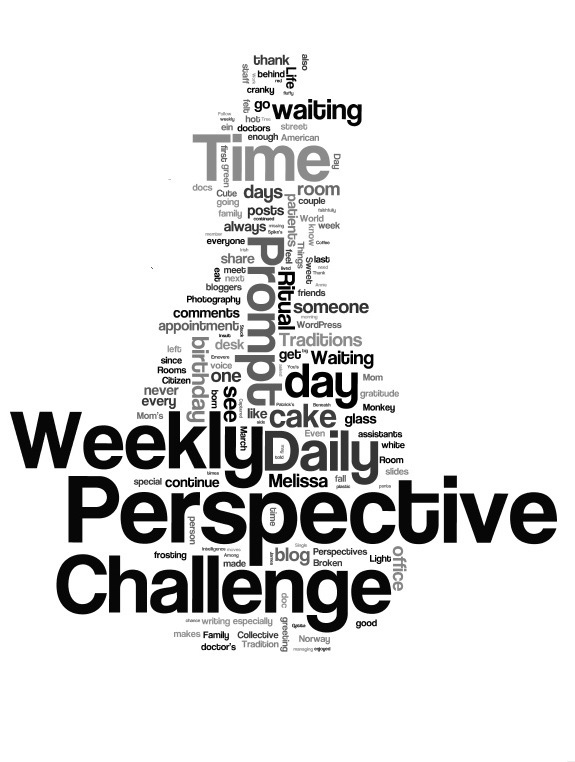 What I love about it is the biggest words: Perspective, Challenge, Weekly, Daily, Time. It’s curious to me because I didn’t know when I started to thank someone every day, how it might change me (if it would at all). I think it did! Thank you so much for the “Ping!” Hope all continues well for you!